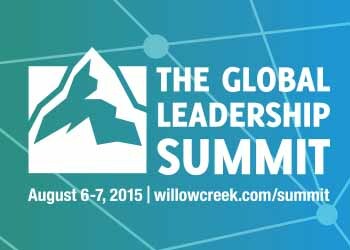 BelPres was honored to host the 2015 Global Leadership Summit on August 6th and 7th. Thank you for participating in this brief survey to gather stories of how this experience impacts the lives of our attendees. * 1. What most influenced you in your decision to attend this year's Summit? Check only one. * 2. Indicate your interest in sharing more about your Summit experience. * 3. In one or two sentences, how has the Summit impacted you? * 4. We are grateful for the 40 volunteers that gave time and talents to make the 2015 Summit a great success. If you would like to join this team please indicate your areas of interest. Global Leadership Summit 2016 will be August 11th and 12th. Check all that apply and add your name in the "Other" comment box. Thanks! * 5. If you would be willing to give a little time between Summits to leverage its impact or help yourself and others implement learnings, write your name here to be contacted. Thank you for your time. If you have any questions or need general Summit information, contact Nancy Campi at ncampi@belpres.org or 425-454-3082 extension 3378. Registration is open for the 2016 Summit at BelPres.org. Be sure to use the special host site code of PREMIER16 for all BelPres attendees to receive the discounted price of $89.